Fr. David Nazar is a Canadian Jesuit, former Provincial in English Canada, who spent several years as Superior of the Jesuits in Ukraine. 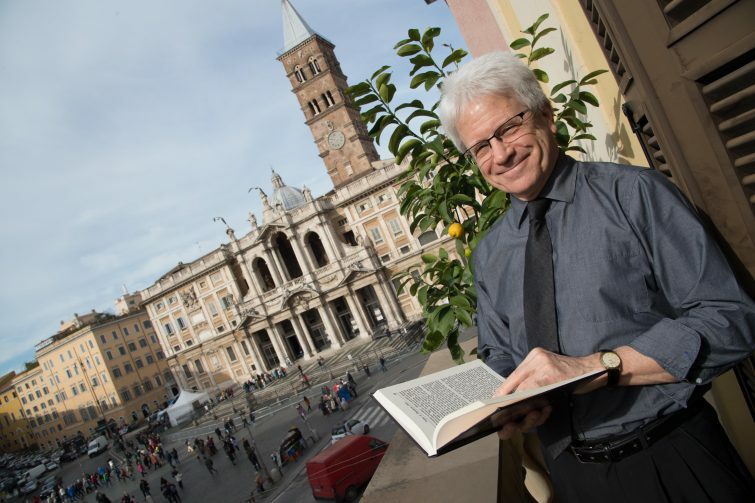 A little more than a year ago, he was asked to come to Rome as Rector of the Pontifical Oriental Institute, a work of the Holy See entrusted to the Society of Jesus. The context he came into involved some tensions. He had the opportunity to work closely with Fr. Arturo Sosa who was the Delegate of the General for the Roman Institutions managed by the Society. Here is his testimony about the Jesuit who was elected a few days ago as Superior General. Father Arturo Sosa is a man with a profound, practical humility. It shows itself in action more than in words. His job as Delegate for the Roman Works was difficult because these intercultural institutions have a complicated administrative structure. He listens, engages, understands, and then simply gets to work. His collegial manner allows people to know they have been heard. In his responsibilities with us, the new General has been neither fearful nor aggressive. In cases of conflict, he openly presents the facts and appeals to the best that is in each of us. He will search for the creative path forward that enhances the mission and saves people from their own darkness. The Orientale Institute is a case in point. It is a papal institute entrusted to the Society by the popes directly. This might seem clear; yet, one Vatican office oversees the property, another approves the academic programs, a third transfers Vatican money, a fourth approves budgeting and project financing, while we are at the occasional service of a fifth. The Society provides faculty and administration, and by default more and more of the financing. Who is in charge? It is complex. The last conclave dealt explicitly with the Vatican’s administrative opacity and Pope Francis has made very impressive improvements. It is the context of much of the Delegate’s work and Fr. Sosa has had the discipline of spirit to remain above petty reactions. Here you see the mettle of the man and his spirituality. Father Arturo Sosa has a healthy sense of humour and an open affection for people. When you add fearlessness, a willingness to engage challenges, and a forward-looking vision, you have the apt image for a Superior General today. Ours is not a time of clear plans and projects, of building up or tearing down. We are in a time of seeking, experimenting, and embracing change and “interculturality.” The world needs witnesses of creative engagement and visionary hope. The Roman institutions have the potential to be key players for the Society and the Church in this context. Students at the Consortium (i.e., Gregorian, Biblicum, Orientale) come from 120 countries, overwhelmingly poorer and troubled ones. The Orientale itself is preoccupied by the troubles in the Middle East and the war in Ukraine, because of our students and our very mission. With Father General’s intimate knowledge of the Consortium, a priority of the Society, we have the opportunity to make of the Roman institutions modern, high-tech centres of a globalized education. If we retain the freedom and humour that we find in Fr. Arturo, we will hear God’s voice appeal to our practical humility and will make good things happen under his leadership.